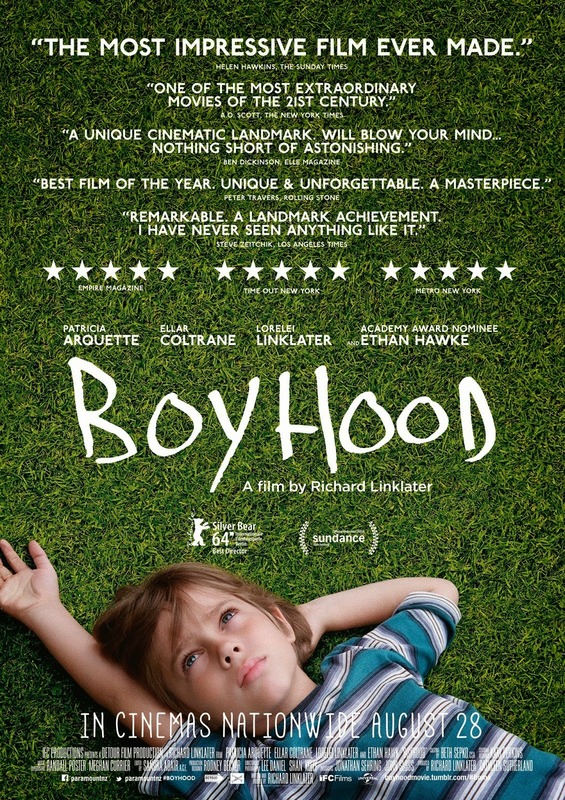 Home / FILM POSTERS / MOVIE TRAILERS AND INFO / Watch the Official International Trailer of "Boyhood"
Watch the Official International Trailer of "Boyhood"
Richard Linklater's BOYHOOD -- a fictional drama made with the same group of actors over a 12-year period from 2002-2013 -- takes a one-of-a-kind trip, at once epic and intimate, through the exhilaration of childhood, the seismic shifts of a modern family and the very passage of time. As the story begins, dreamy-eyed grade-schooler Mason faces upheaval: his devoted, struggling single mom Olivia (Patricia Arquette) has decided to move him and older sister Samantha (Lorelei Linklater) to Houston -- just as their long-absent father Mason Sr. (Ethan Hawke) returns from Alaska to re-enter their world. Thus begins life's non-stop flux. Yet through a tide of parents and stepparents, girls, teachers and bosses, dangers, yearnings and creative passions, Mason emerges to head down his own road.